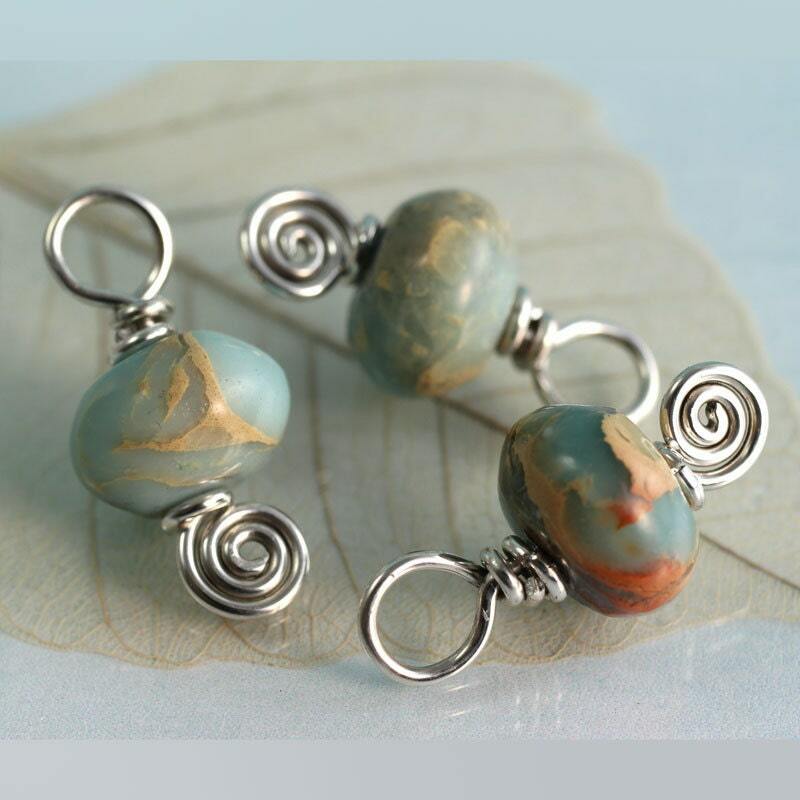 Beautiful Aqua Terra Jasper shaped as a smooth rondelles, wire wrapped in thick silver wire with a cut little spiral detail at the bottom. 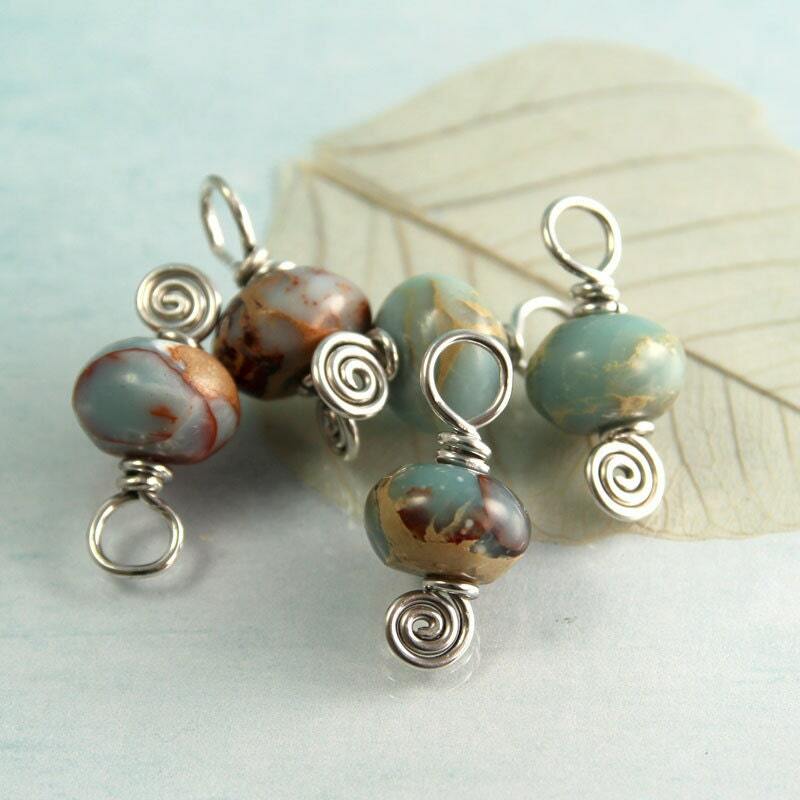 Jasper comes in so many gorgeous colours and these beads remind me of ancient jade, old maps or special beach stones that have been worn smooth by crashing waves. 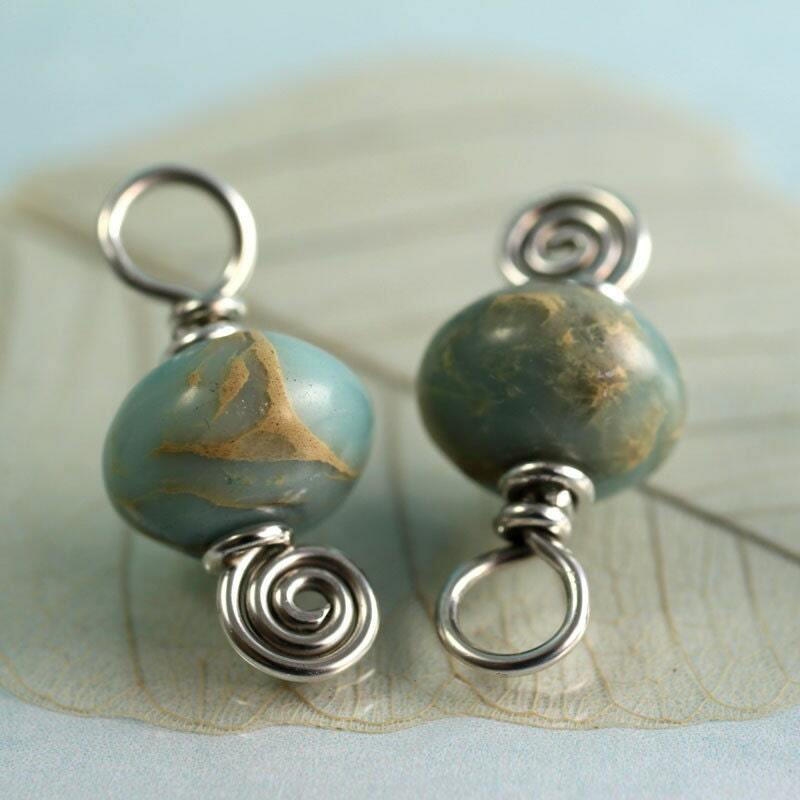 Their colours go from ash grey, over antique brass to Cambridge blue. But I call them dark sea green. 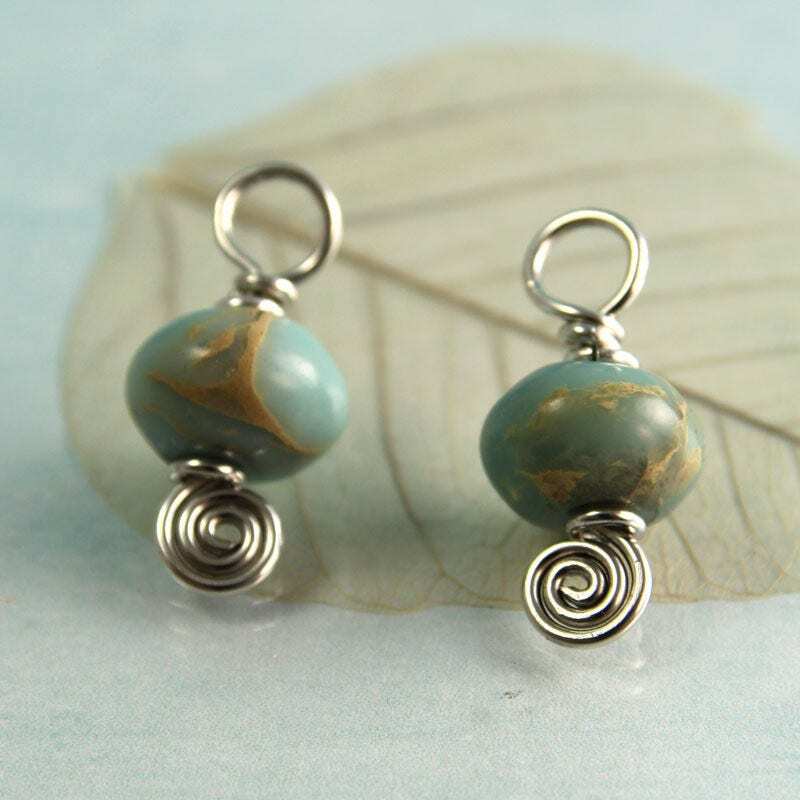 Aqua Terra jasper - also know as "African opal" is a wonderful earthy stone in jade, terra cotta and sand colours and is said to help one find inner peace, clarity, love and compassion. 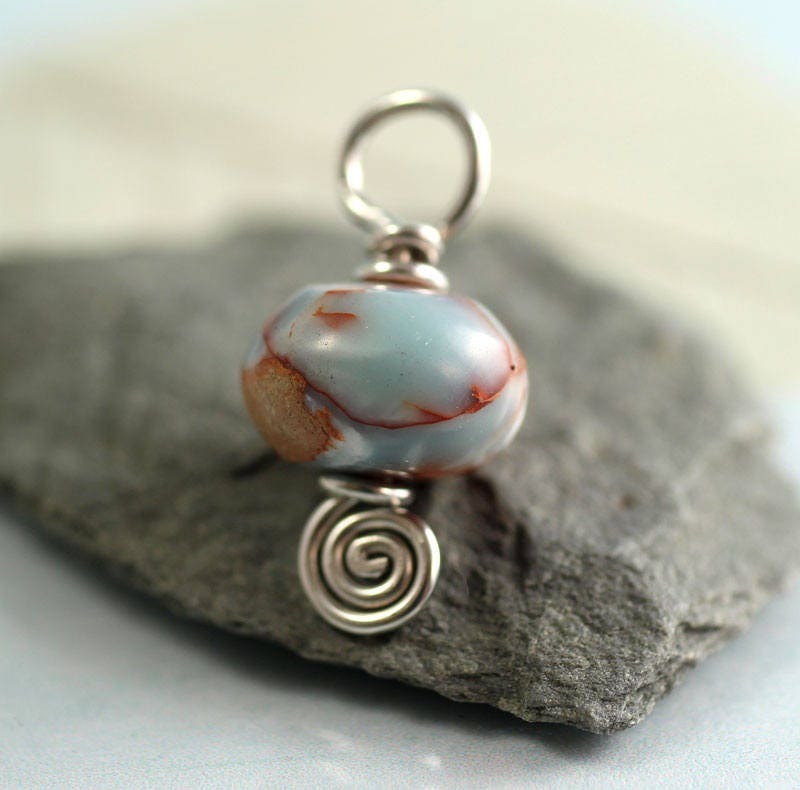 This stone is providing protection, it absorbs negative energy and balances yin and yang. 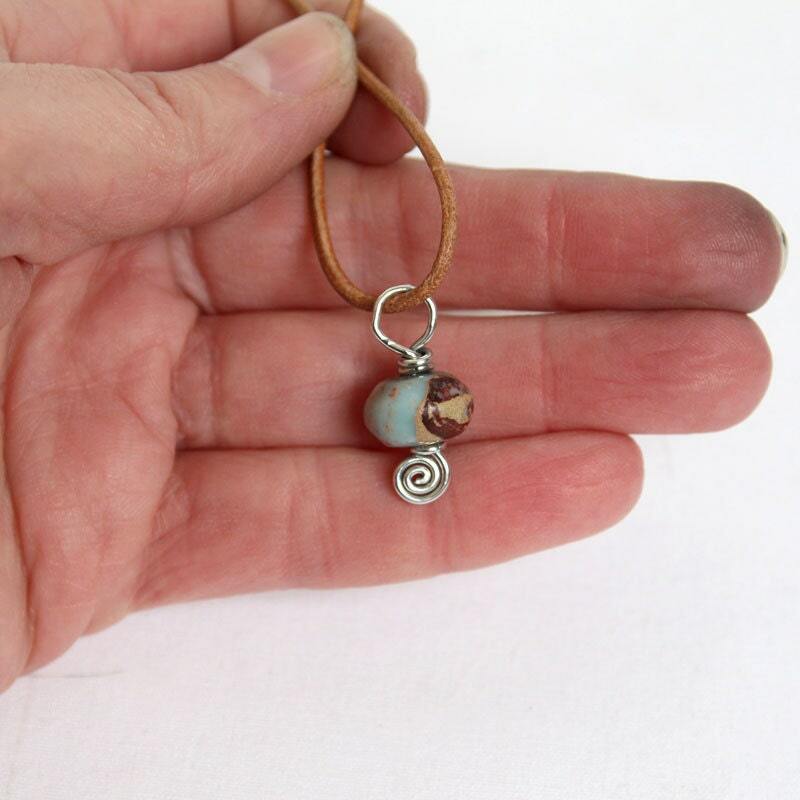 The charm has a 5-6 mm large closed hoop for attaching to your favourite bracelet or necklace to use as a tiny pendant. 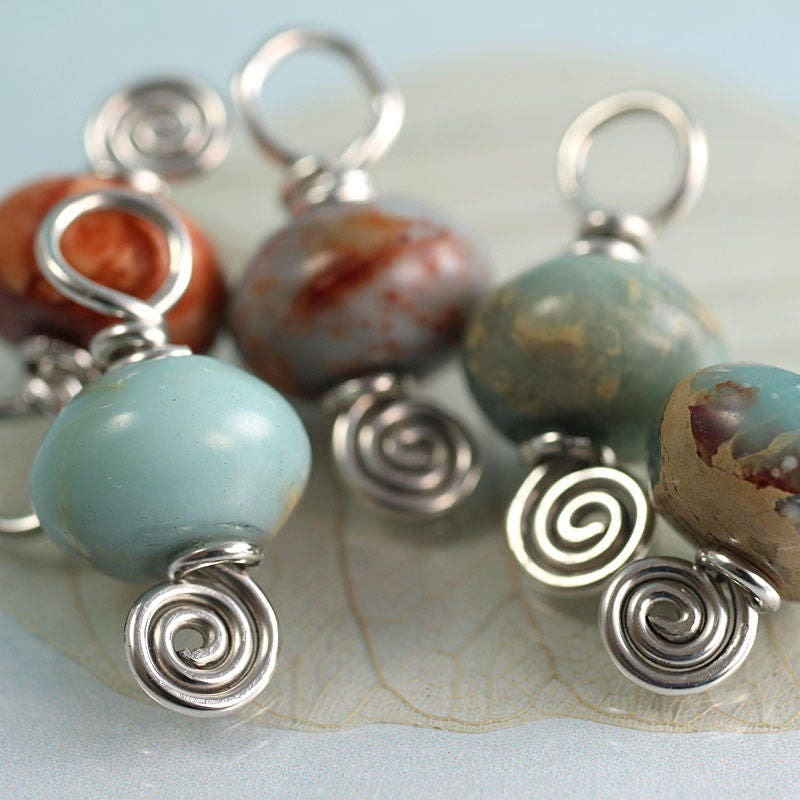 * Hanging hoop 5-6 mm inside diameter. 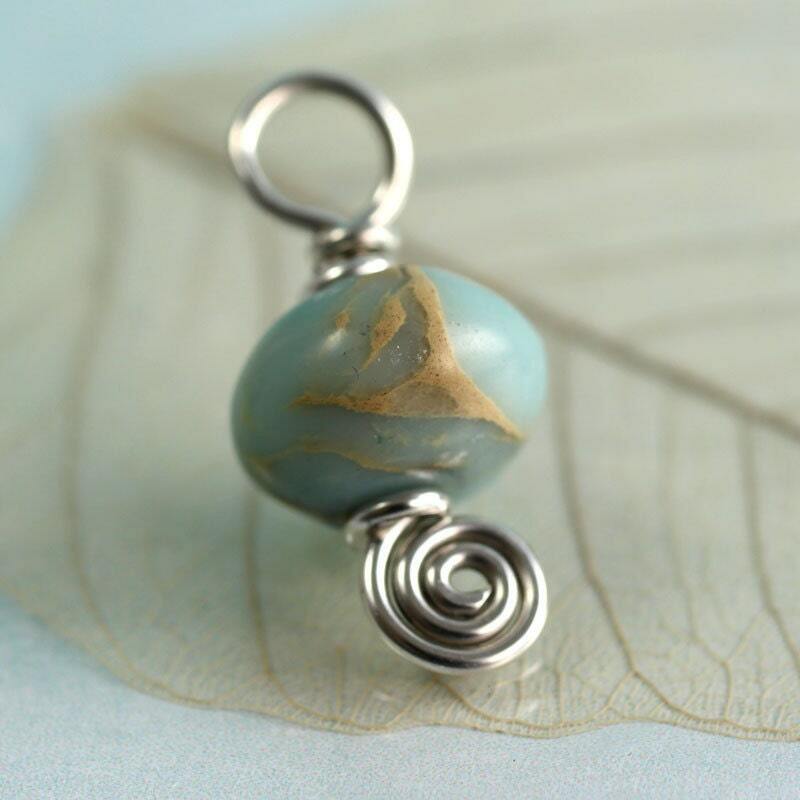 Lovely pendant. Arrived quickly from this seller, as always!